What Jesus taught about following Him as a disciple. 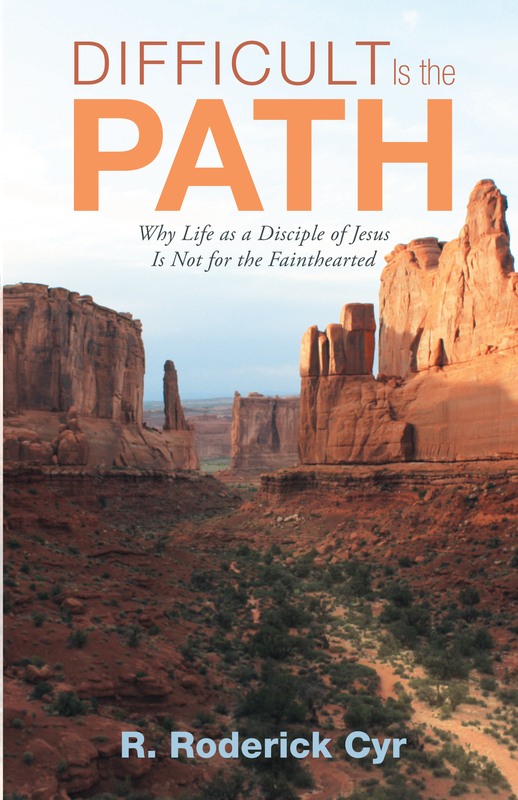 In my book, Difficult Is the Path: Why Life as a Disciple of Christ Is Not for the Fainthearted, we examine Scripture and identify examples Jesus provided, parables He shared, and lessons He taught about the challenge of living as His disciple. We focus particular attention on verses the American church has ignored historically or dismissed as irrelevant. During His sermon on the mount Jesus specifically said that the path that leads to eternal life would be challenging, yet often we want to create an alternate path that arrives at the same location but follows a more leisurely and comfortable route. My book explores the dangers with pursuing that approach. Of course, just because the path is difficult doesn’t mean it is not worth taking. This study lays the foundation for the reader to deepen his relationship with the Lord and increase his faith, and in the process enjoy a far more satisfying, purposeful, and rewarding life. Though Jesus left no ambiguity over the fact that following Him would be challenging, He also makes clear that doing so would lead to indescribable peace, joy, and hope.